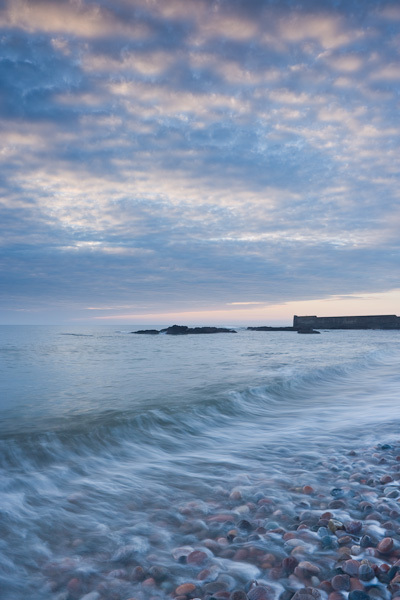 The cold light of day breaks over the harbour wall at Auchmithie. The small waves and clouds suggest the decline of the tiny harbour which is now home to only a couple of lobster boats. No proud air of defiance to crashing waves here, rather a feeling on resignation to being reclaimed by Mother Nature.